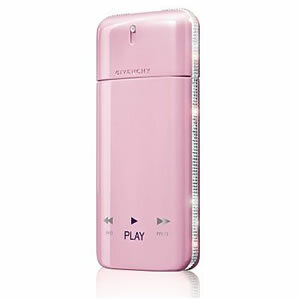 Givenchy Play For Her and Givenchy Play For Her Intense share the unusual alchemy of pink peppercorns, amyris wood, tiare flower and sandalwood as a central theme. Givenchy Play Eau de Parfum glows with joy and freedom, delicateness and light. It is a radiant floral-woody-fruity fragrance with surprising and captivating notes of white peach, sweet pea, bergamot and magnolia flower that enchants everyone that experiences it.